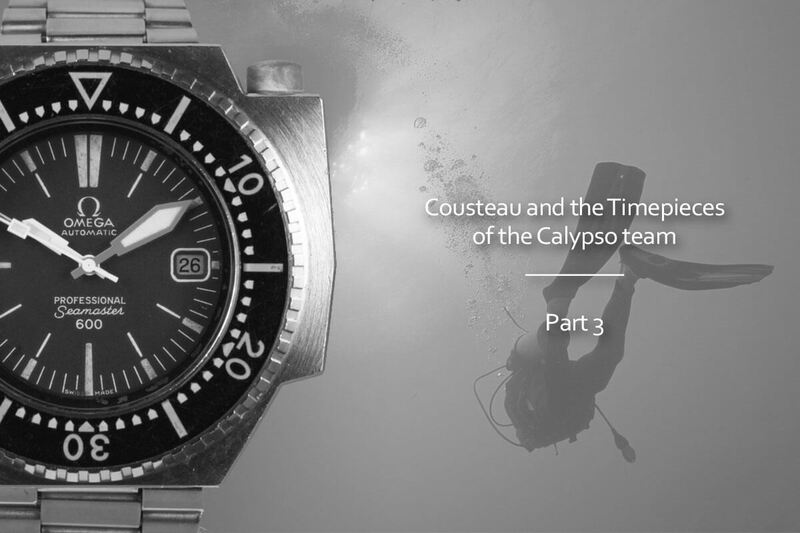 Yesterday we introduced you to the history of diver watches and the crucial role that Jacques-Yves Cousteau and his team played in the development of diver watches (see here). 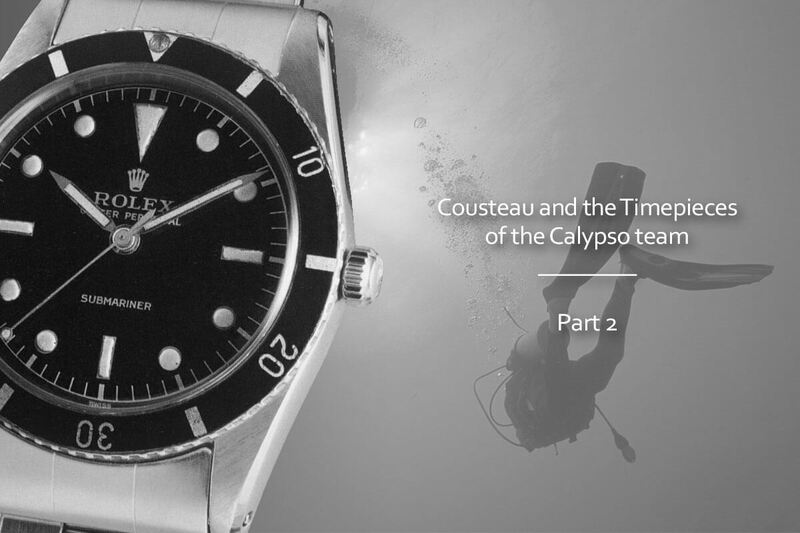 The second installment focussed on the diver watches that were actually used by Jacques-Yves Cousteau and is team in the 1960’s (click here), and now we’re going to show you the watches that they used in the 1970’s and 1980’s. We’re still talking about proper tool watches, although the first ‘luxury’ watches are appearing as well. During the 1970’s the watches that Cousteau and his divers wore, and which can be identified from the documentaries, were mainly from the brands Omega, Doxa and Rolex. The ultra professional Seamaster 600 and 1000 plus the Marine Chronometer, which can ben seen on the wrist of the commander himself, the Doxa 300 Sub and the Doxa T-graph and last but not least, various Submarines (ref.5512/5513) and a few Sea-Dwellers. Omega developed a close relationship with Cousteau during the Conshelf II experiments. 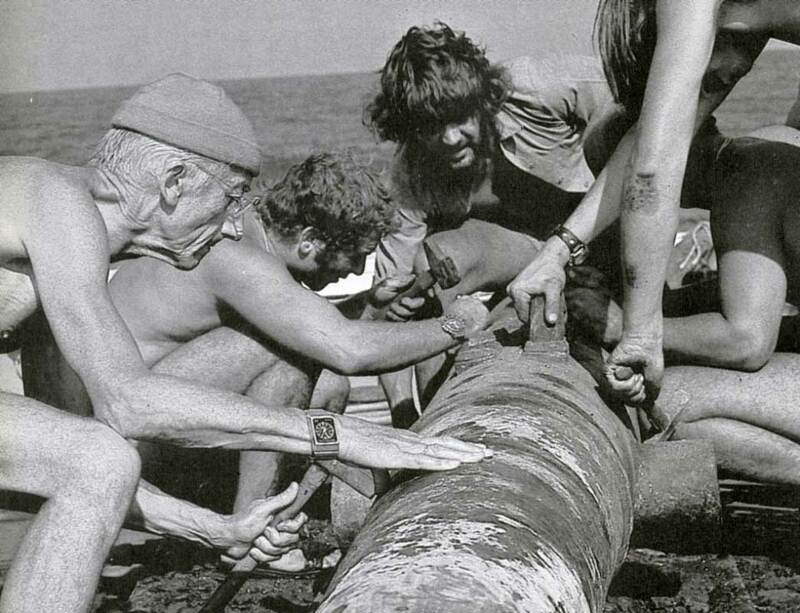 However, during the 1970’s the company developed, with the help of Cousteau and COMEX, the Ploprof 600. This iconic timepiece can be seen mainly on the wrist of Albert Falco and you can read our previous presentation here at Monochrome. Along with the Ploprof 600, in 1971 Omega introduced the Seamaster 1000m or as the collectors call it ‘The Grand”. 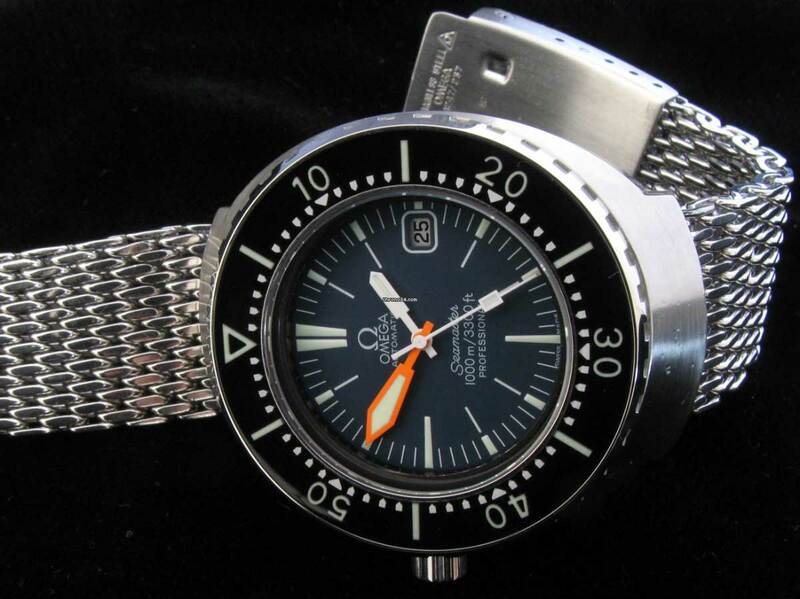 The “big brother” of the 600, the Seamaster 1000m that was created and tested alongside the Ploprof 600, and was also tested and used by the same divers. 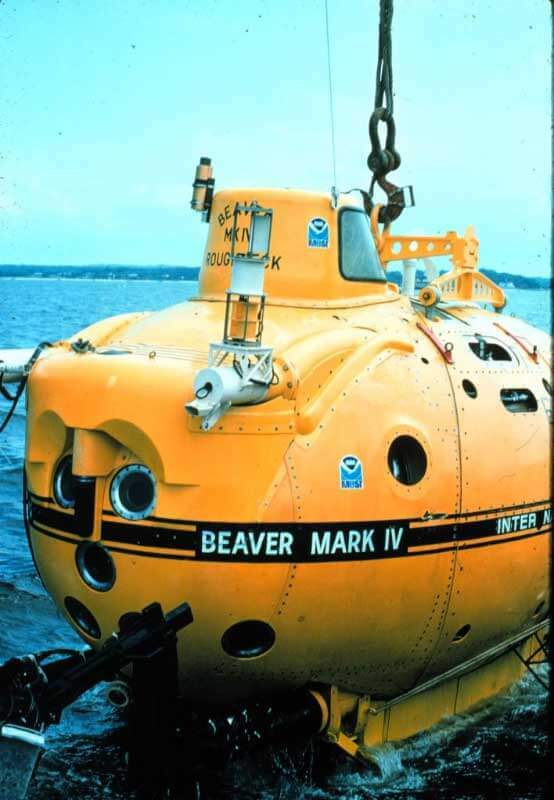 The highlight of the 1000m’s early exploration career was undoubtedly its dive on IUC’s (International Underwater Contractors) submarine “Beaver Mark IV” where the watch was attached to the submarine’s robotic arm to test the effects on the crystal at a depth of 1000 meters. This massive timepiece had the same dial layout as the 600 with a single block stainless steel case, a very thick mineral crystal (4,5mm) and the winding crown at 9 o’clock in order to minimize the risk of damaging it while submerged. 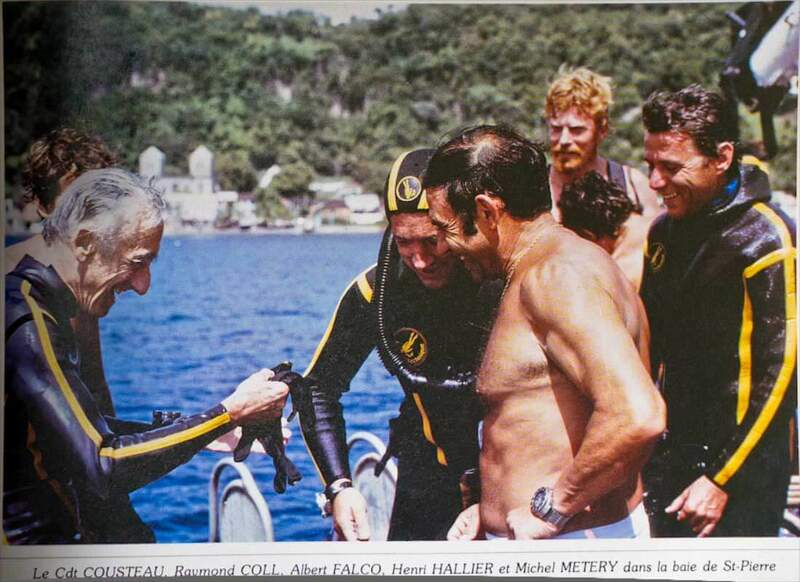 Jacques Cousteau and his son Philippe, Albert Falco, and Bernard Delmotte wore this with a mesh bracelet usually. The Omega Marine Chronometer (references 1511 & 1516) with its integrated bracelet and its quartz caliber was a beloved piece of Commander Cousteau. It was the first wristwatch ever to be awarded certified status as a Marine Chronometer. Developed by John Othenin-Girard it is one of the most accurate non thermo-compensated production watches ever made. This wristwatch with ref.1511 was certified at the Besançon Institute. All 1000 examples that were ever produced, were sent for testing of their chronometer status and after 63 days of relentless testing the mean variation was less than 0,002 seconds per day!! The Marine Chronometers presented with certificates showing their individual performance over the 63 days period and when introduced in 1974, the model had a list price of £761 GBP. By contrast the Speedmaster Professional was on the market at £124.50 GBP. In 1976 the ref.1516 was introduced to the market (7000 pieces) with a few small changes. 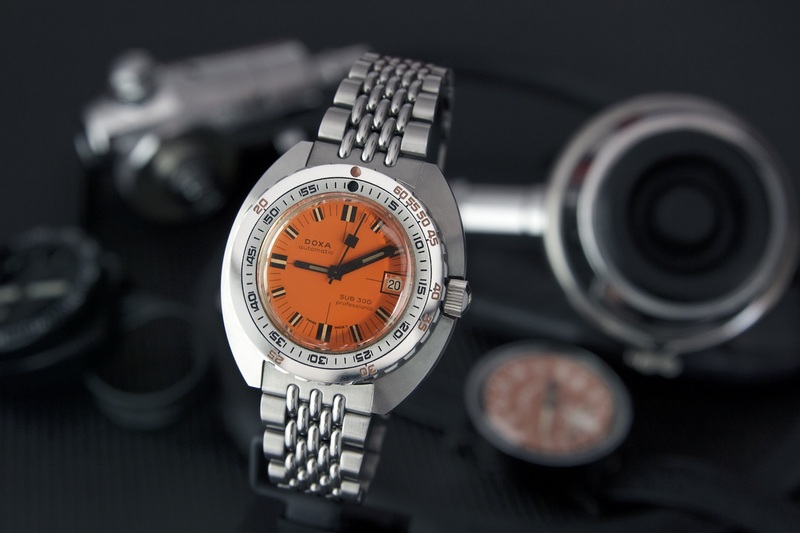 In the late 1960’s Mr. Urs Eschle was product manager on Doxa watches. He and his team decided to create an affordable but rugged sports diver watch for leisure and professional divers, which had to be comfortable, reliable and legible. The Doxa Sub 300 was born in 1967; a diver’s watch being designed from scratch incorporating excellent technical and design elements. 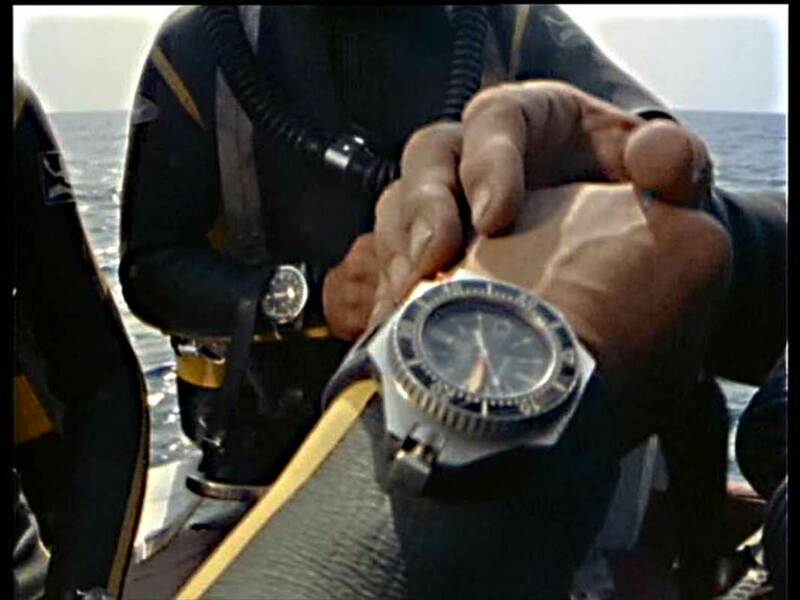 The watch had a rotating unidirectional bezel with US Navy Non-Decompression dive limits. This corresponded to the time on the inner bezel ring. Therefore a diver could set the bezel’s zero mark to line up with the minute hand upon descending, and then refer to the no-deco limits markings, along with his depth gauge, to determine when it was time to safely ascend. 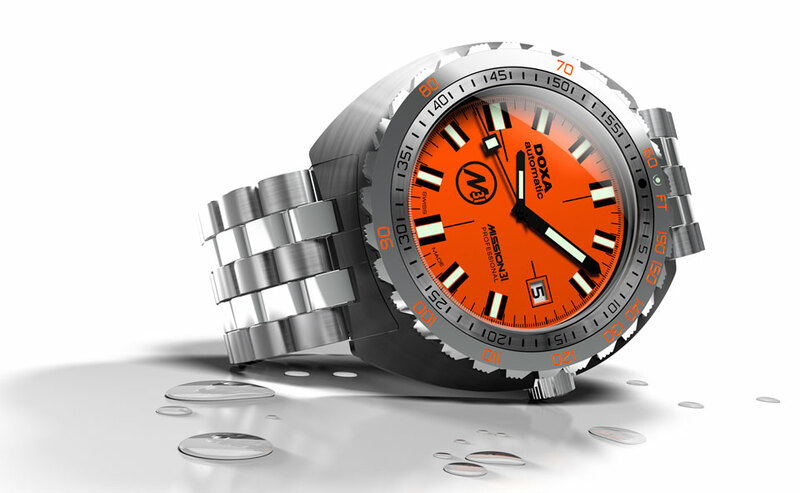 The highly legible orange dial, the substantial minute hand with that almost dwarfs the hour hand, the massive tonneau-shape case that provided comfort and protection of the crown, and the ‘expando’ bead of rise bracelet made the Doxa Sub a favorite among Calypso divers. 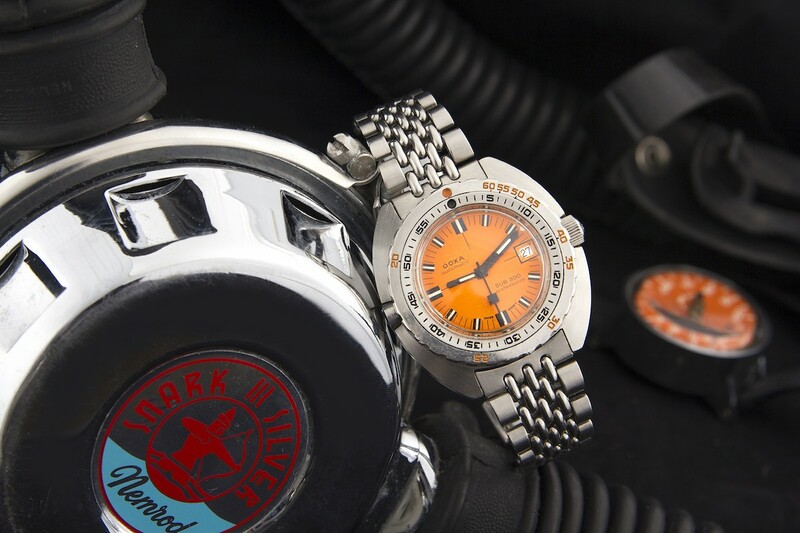 Doxa incorporated in 1969 the HRV (Helium Release Valve) and the Doxa Sub 300T Conquistador was the first diver with a HRV (Helium Release Valve) available to the general public (something that we already published back in 2009). Doxa and Rolex co-developed this technical solution (Rolex submitted the patent in 1967 and equipped prototype Submariners ref.5513/5514 and patent pending Sea Dweller ref.1665) but released its Sea-Dweller model with a HRV valve only in 1971. The Doxa Sub is a legendary Diver and its one of those watches that represents the age old saying, form follows function at the highest level. The company U.S. 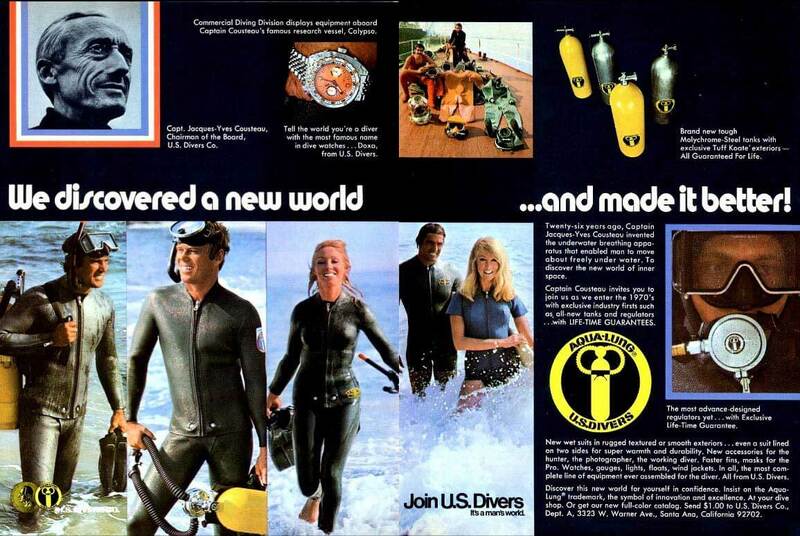 Divers was so pleased with the Sub 300 that it bought the rights to be sole distributor of the watch in the United States and put its familiar “Aqua-Lung” logo right on the dial. It can been seen on the wrist of almost every Calypso diver in that era, along with the great Sub 200 T-Graph the chronograph version of the 300. Produced in three color variations (Orange, Black, Silver, similar to the Sub 300), this chronograph had a thicker case and a bigger caliber. The cal.287 by Doxa was based on the high grade Eberhard cal.310-82 and used a column-wheel mechanism. Last but not least Rolex Submariners and Sea-Dwellers can be seen aboard the Calypso during that period. The most famous might be Philippe Cousteau’s Sea-Dweller Ref. 1665 with Double Red Mark I dial, which was sold for $183,750 at an auction last year. 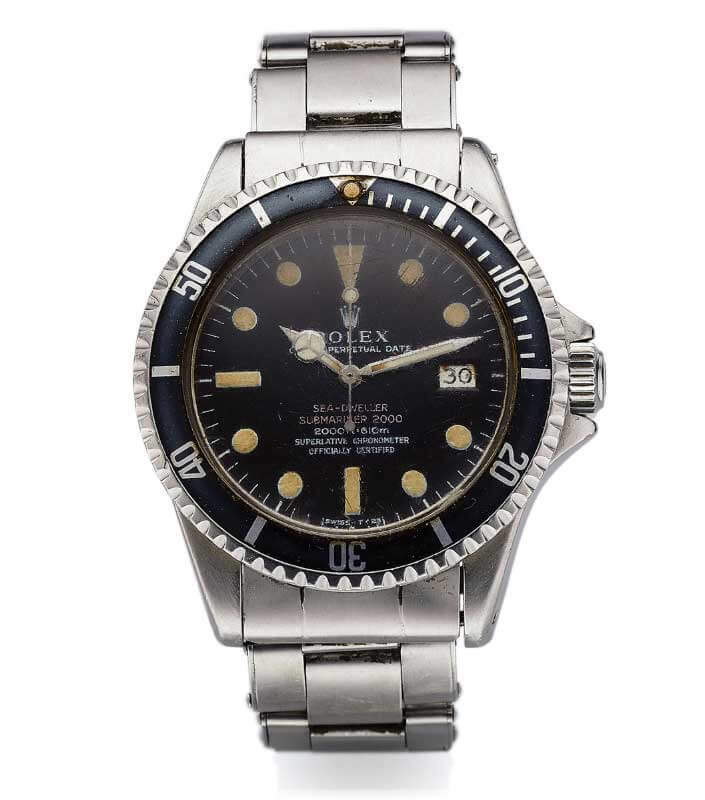 Towards the end of 1967 Rolex produced an initial batch of 114 watches (most of them issued to sea explorers), however it was in 1971 that the watch made it to Rolex retail stores. The new Sea-Dweller featured a larger case, a new domed plexi crystal, HRV and new dial with two lines of red writing on the dial: SUBMARINER -SEADWELLER 2000. This was to indicate that the new watch was based on the existing submariner but instead of 660ft depth rating, the new watch was rated to 2000 feet. The date cyclops that was used on Submariners, was not used on the domed crystal, and case back engraving was also new to this model. There were four different dial variations made in the regular production model with three different case back configurations. The early version and the most rare is the mark I dial on a patent pending caseback. The Submariners with reference 5513 and 5512 were probably also seen onboard the Calypso, since they were the basic divers from Rolex in that era. The 5513 was produced from 1962 up until 1990 (!!) and the 5512 from 1959 until 1978. The Submariner is a bonafide diving icon and it is without a doubt the most famous Rolex sports watch. The 5513 is one of the longest continually produced references in the company’s history. It used calibers 1520 and 1530 and was waterproof to a depth of 200m. Reference 5512 was produced during its lifetime with four different calibers (1520,1530,1560 and 1570). The early models did not bear the chronometer writing on the dial (Superlative Chronometer Officially Certified), however later on they were equipped with a chronometer certified caliber (1560 and 1570 movement), which was also made clear on the dial (the so-called 4-line writing or 4-liners). Both of these models had acrylic crystals and the famous oyster bracelet. This helped Rolex, and the Submariner in particular, to become legendary since it was used and abused by many (professional) divers worldwide. 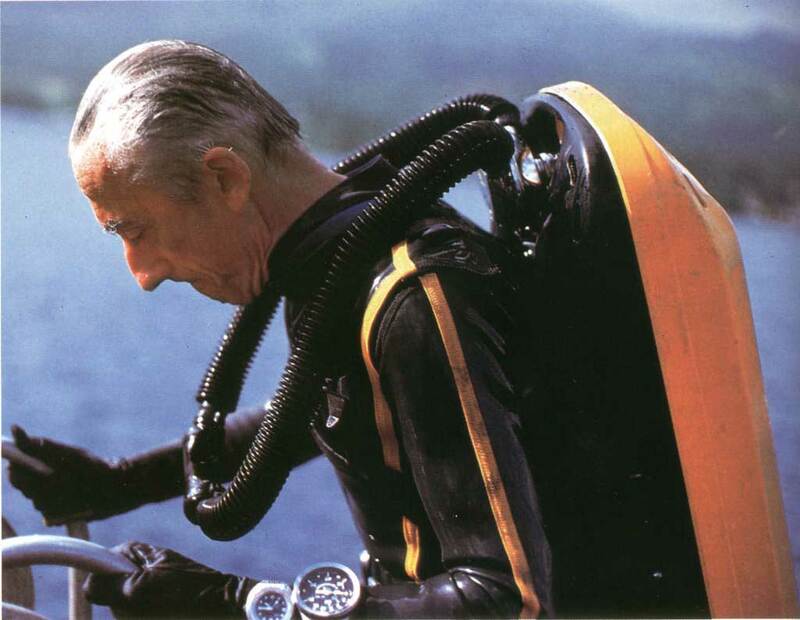 Commander Cousteau has been seen wearing also a Seiko 6309. For an overview of the Seiko SKX series please check this article. It is likely that he and the Calypso divers wore, what they considered being the best (or the coolest) diver on the market at the time, or what some companies would issue to them. 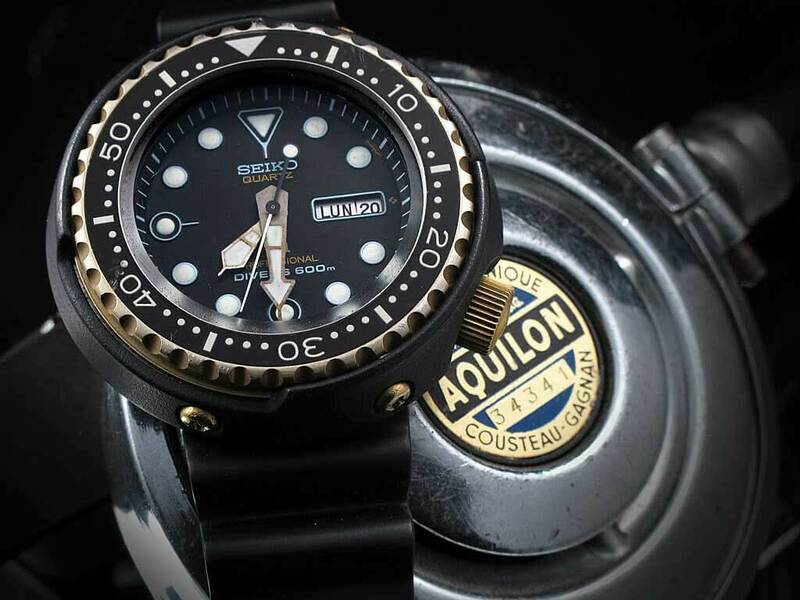 Lets not forget that in those days a proper diver watch was a status symbol among divers. There have been reports that during the 1980’s the calypso divers wore the iconic Citizen Aqualand, which was introduced in 1985 and was the first quartz diver watch with an electronic depthmeter. Staying on the Japanese front, the Tuna, a highly radical technically diver watch that might also have been used. The renowned Mr. Claude Wesly, a diver with more than 10,000 dives, and who also participated in Conshelf I & II, wore a Seiko Tuna 7549-7009 quartz diver at the end of the 1970’s. The Omega SHOM a diver watch that was smaller than the big Ploprofs, but shared with them the highly legible dial layout, might have been used as well. The SHOM was an Omega Seamaster (ref.1660177) with an octagonal case that was introduced in 1974. The acronym SHOM stands for Service Hydrographique et Oceanographique de la Marine. My guess is that probably the French military connection and the Omega connection with the Calypso crew and Cousteau himself, made it possible for some divers to adopt that model in the late 1970’s/ early 1980’s. 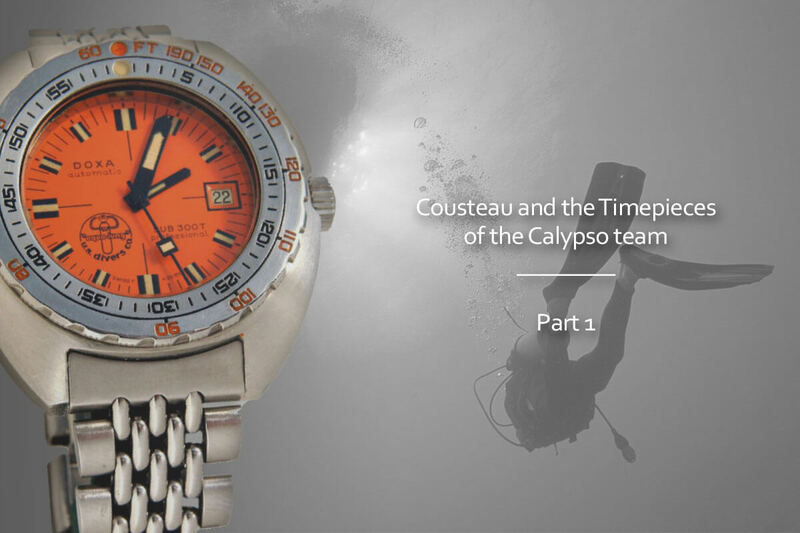 This article could not have been possible without the work of people that identified the watches Cousteau and his team used from stills in their documentaries and movies. We thank them for that and we use mainly their pictures. http://www.forum-mdp.com/t25841-quelles-sont-ces-montres-de-l-epopee-cousteau (Please check the excellent Montres de Plongee French forum). http://militarywatch.over-blog.com/pages/Cousteau_and_watches-5223942.html (also excellent work at the militarywatch blog). http://www.doxa300t.com/. (For anything about Doxa). http://www.crazywatches.pl/omega-1516-megaquartz-f2-4mhz-marine-chronometer-1976. (Great Review about the Omega Marine). http://rolexblog.blogspot.gr/. (Check also Jake’s Blogspot about Cousteau and Rolex). Information about Commander Cousteau and the SCUBA apparatus taken from Wikipedia.